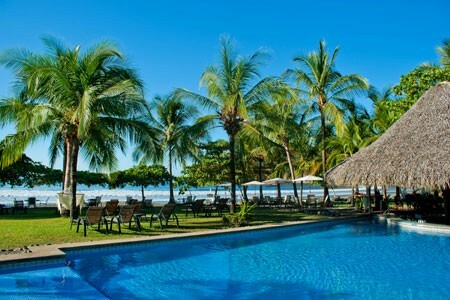 Costa Rica offers Family Travel an amazing diversity of experiences, sights and hotels. This itinerary touches on the more frequently visited areas of nature, wildlife, soft adventure and beach such as Tortuguero, Arenal & the Pacific Coast. This itinerary is based on luxury accommodation but we can of course tailor this program to match any budget and include additional tours, activities and more off the beaten track destinations. Day 3: Morning & afternoon nature & wildlife boat tours on Tortuguero canals. Day 7: Mangroove Kayaking Tour. Free afternoon at the hotel, beach & community at Punta Islita. Day 10: Transfer from hotel to private airstrip. Shared flight to San Jose Airport / Alajuela in time for international flight connection. Just a quick drive from the Juan Santamaría International Airport (and 30 minutes from the capital San José), Alajuela is Costa Rica’s second-largest city and is considered the gateway to Poás, one of the country’s most incredible volcanoes. An active volcano with a paved road that leads right to its top (its accessibility makes it a top tourist draw), Poás is located in a national park and is surrounded by a dense cloud forest with trails and a variety of wildlife and ecosystems. 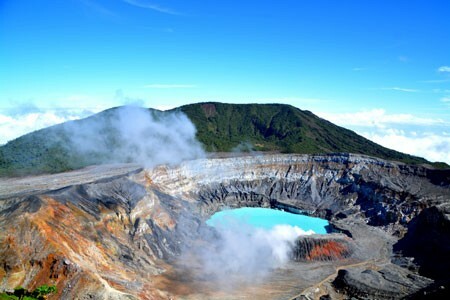 Its crater is considered the largest in the world and features a geyser that often spews water and steam. There are two crater lakes near the volcano’s summit: Laguna Caliente is acidic and features little (if any) aquatic life; Lake Botos fills an inactive crater and boasts cold, clear water. Alajuela (also known as the City of Mangoes because of the many mango trees that grow here) is a friendly, pleasant city. Its urban attractions include the Juan Santamaría Museum, the Alajuela Cultural Center, and a pretty neoclassical cathedral with not-to-miss paintings. It also boasts myriad hotels, restaurants, and shops. Around the city, visitors will find a pastoral landscape, one with colorful homes, small farms, and coffee plantations (coffee and sugar are agricultural staples). 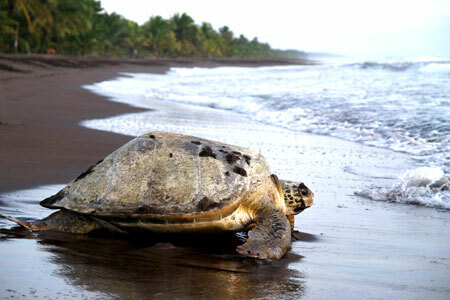 Tucked along Costa Rica’s northeastern Caribbean coast, Tortuguero National Park was established in the mid-seventies to protect green, hawksbill, loggerhead, and leatherback turtles, which nest in the area at different times from March through October. Accessible by boat or air only, the remote park is approximately 770 square kilometers (300 square miles) and boasts myriad habitats, from rainforests and mangrove swamps to beaches and lagoons. There’s tons of wildlife, too. Rivers are home to manatees, caimans, and crocodiles. Forests hide jaguars, three-toed sloths, lizards, and three of Costa Rica’s four monkey species. 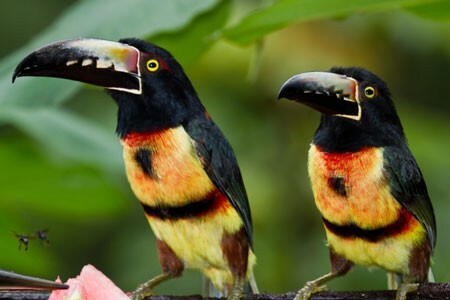 Birds include kingfishers, toucans, herons, parrots, and more than 300 other species. Although Tortuguero is the third-most visited park in the country, services are limited. Area accommodations (which are typically accessible by boat via a series of canals) are often pleasant but rustic and designed to minimize impact on the environment. Located within the confines of Tortuguero National Park and accessible only by air or water, you will find this little village with strong Afro-Caribbean roots. You will depart from the lodge on a small boat towards the village. Then you’ll hike around the school and some other areas of the village. 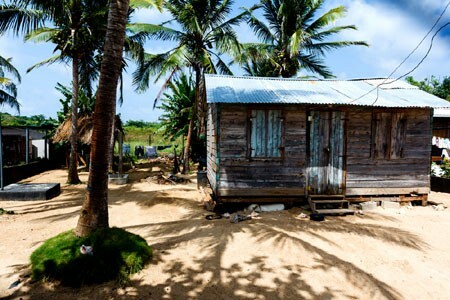 You will also visit the Caribbean Conservation Corporation, where you’ll learn about the turtles. 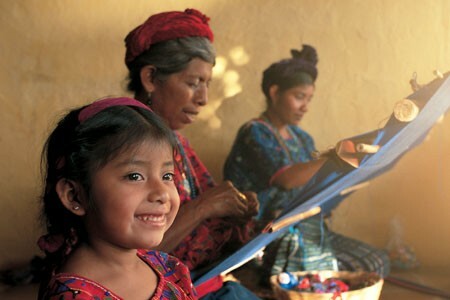 You may collaborate with them giving a free donation. There will be some time at leisure so you can walk in the village and maybe buy some stuff at the local market or souvenir shop. Then a boat transfer will take you back to your hotel. The tour last approximately 2 hrs and starts at 3:00 pm. 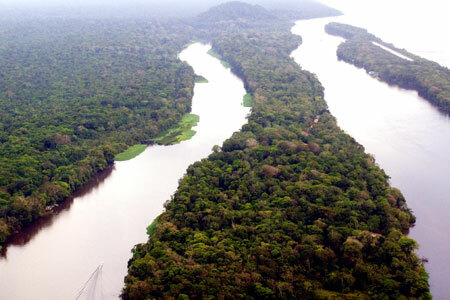 In the morning and in the afternoon, a boat tour is scheduled to cruise the Tortuguero canals. A different canal each time. The ride lasts about two hours and during the boat trip you might have the change to admire wildlife and the exuberant flora. The rivers are home to sensitive populations of manatees, as well as caimans, crocodile among others. The forests are home to jaguars, three-toed sloths, and three of Costa Rica’s four species of monkeys, the Spider Monkey, the Mantled Howler, and the White-headed Capuchin. There are also Basilisk lizards and poisonous frogs, 375 species of birds, including kingfishers, toucans, blue herons, and parrots. The national park ecosystem has more than 400 species of trees and about 2,200 species of other plants. This is why this park turned to be the third one most visited in Costa Rica. During the boat trip you might be able to spot some of these creatures. Today we’ll visit the Poás Volcano National Park and La Paz waterfall gardens. As we ascend, you will notice how picturesque the landscape is; rural towns, cattle, coffee fields and strawberry greenhouses are part of what you can observe along the road. You will notice the difference in temperature and vegetation as we get close to the park. Once inside the park, you’ll have the opportunity to see and photograph this active volcano’s main crater as the steam rises from the various volcanic vents. There are two crater lakes near the main crater. 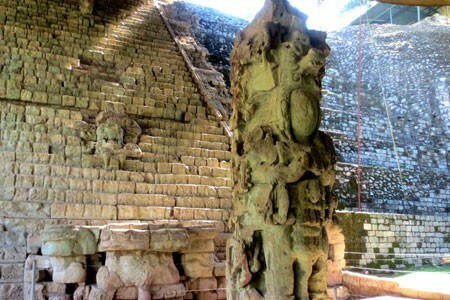 The northern lake is known as the “Laguna Caliente” (hot lagoon) and Lake Botos is the southern one. It fills an inactive crater. It is cold and clear, and is surrounded by cloud forest. Learn about the wide variety of wildlife and ecosystems from your guide. Afterwards, you’ll head to the La Paz Waterfall Gardens, a rescue wildlife preserve with over 100 species of animals and an environmental education program. There are 3.5 kilometers of walking trails, five waterfalls, an aviary with 40 species of birds, marmoset monkeys, Capuchin (white-faced) monkeys, black-handed spider monkeys, insect exhibit, butterfly gardens, two-toed sloths, hummingbird garden with 26 documented species, serpentarium (snake exhibit), Jaguar, pumas, ocelots, jaguarundi, margays, ranarium (frog exhibit), orchid exhibit, heliconia exhibit, bromeliad exhibit. Learn from your guide about all this ecosystems. After the visit you’ll continue to your hotel. 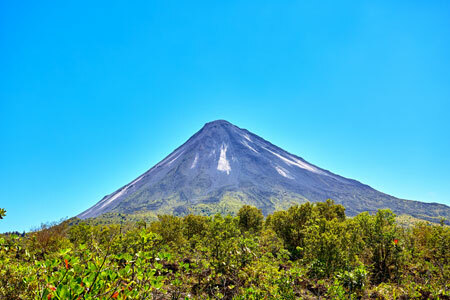 Arenal Thrilling Canopy is located within the Arenal Conservation Area, and is without a doubt a healthy release of adrenaline and an incredible immersion in nature with a moving panoramic view. Your tour will begin with a brief safety speech, then your equipment will be put on and carefully checked by certified bilingual guides. The guides are fully trained in first aid, vertical rescue, and have ample knowledge of the Flora and Fauna. Enjoy this thrilling aerial adventure of approximately 3 km, starting from a tower 13 meters high and glide your way down 10 cables made with the best galvanized stainless steel, ranging from 80 meters to 750 meters in length, with an average height of 38 meters. Speeds will top 60km per hour! Each of our 14 platforms, 5 of which are constructed in extraordinary trees, were strategically designed at varying heights to allow our clients to observe the rainforest from different angles and photograph the awe inspiring scenery. Paddle through the Ora River’s peaceful mangrove and enjoy an out-of-this-world landscape created by “trees on stilts”. After reaching the ocean, the group enjoys 20 minutes at the Camaronal Wildlife Beach Refuge. The return paddle up the Ora is assisted by the incoming tide. 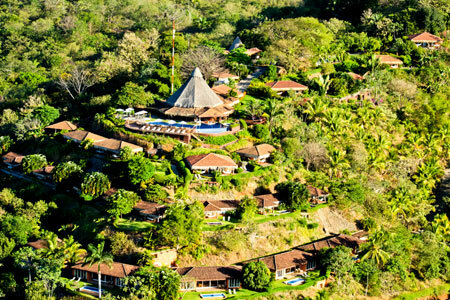 Located in the hills above Alajuela (Costa Rica’s second-largest city) and boasting beautiful views of the Central Valley, plus stunning architecture and artwork (think mosaic-tiled fountains, Technicolor collages, and gorgeous paintings), the 16-hectare (40-acre) Xandari Resort & Spa is an aesthetic delight. Twenty-four open, airy, and individually designed villas feature large terraces with stunning vistas, private patio areas, colorful décor, and comfortable, modern furnishings. An on-premise spa offers an extensive menu of massages, facials, and body treatments, all of which incorporate all-natural ingredients. On the grounds, guests will also find botanic gardens, myriad nature trails, and an orchid house for exploring, plus three picturesque pools. The indoor/outdoor restaurant offers a continental-Costa Rican mix of fare; many of the fruits and vegetables on offer are from the resort’s organic greenhouse, orchard, and gardens. Facilities: Restaurant, pools, spa, nature trails, botanic garden & WiFi. Location: 20-minute drive from Juan Santamaría International Airport. Suggested Room Choice for Family: Manatus Lodge is located on Costa Rica’s North Caribbean Region, in one of the most diverse National Parks, Tortuguero. The rooms at Manatus Hotel begin with an extraordinary sense of peace and solace. Your exclusive room is designed to inspire; its beauty connects you with the surrounding environment. The hotel counts with 12 luxurious rooms with air conditioning, satellite tv, private terrace with bench, mini bar, two queen size beds, outdoor private patio with shower and hand painted sinks. 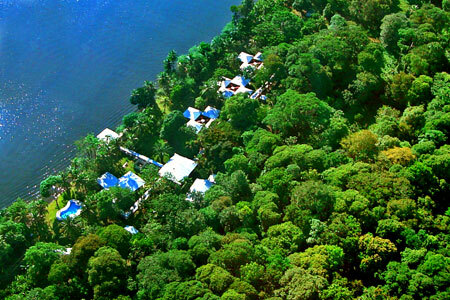 The hotel offers bar and restaurant a la carte, swimming pool, private forest reserve, panoramic dock, laundry service, covered walkways, art gallery, gym and spa. Free internet service in computers in the lobby of the hotel. Tabacón is a luxury resort located at the base of Arenal volcano and offers a wide selection of rooms and suites outfitted with tasteful furniture and décor handmade by Costa Rican artisans; some also boast terraces, hot tubs, four-poster beds, and spacious sitting areas. The lush, expansive grounds feature a series of natural thermal pools, cold springs, and waterfalls that are surrounded by rainforest (more than 500 species of plants and flowers are found on the property). At the romantic Shangri-La Gardens, guests will find an adults-only area of hot springs and gardens. The on-premise spa features open-air bungalows where body wraps, massages, and more can be enjoyed to the sounds of the surrounding forest. The resort has a variety of dining venues that offer everything from elaborate Costa Rican dishes to fresh salads and simple sandwiches. Off-property, more adventurous guests will find plenty to do, from volcano hikes and treks over hanging bridges to nature safaris, canyoning tours, and whitewater rafting. Facilities: Restaurants, bars, pool, thermal springs, air-conditioning & WiFi. 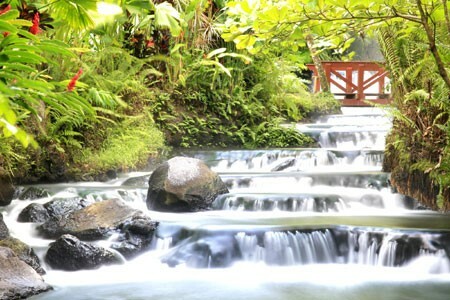 Location: 20-minute drive from La Fortuna town. Set on a hilltop overlooking a secluded beach cove, Punta Islita offers a mix of well-appointed rooms, suites, and two- and three-bedroom villas. Accommodations feature upscale, colonial-tropical décor and private outdoor spaces; some also boast king-sized canopy beds, gardens, and plunge pools. 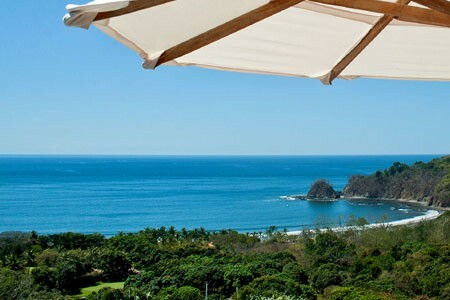 Around the 121-hectare (300-acre) grounds, guests will find an infinity-edge pool with a swim-up bar and great views, two restaurants (expect classic Costa Rican fare, plenty of fresh seafood, and tropical cocktails), a spa with a comprehensive range of treatments, a nine-hole golf course, tennis courts, and an ocean-side family beach club with a pool. The hotel’s tiered layout provides commanding ocean views. Facilities: Restaurants, pools, bar, spa, golf course, tennis courts, air-conditioning & WiFi. Location: 2-hour drive from Liberia International Airport; 3.5-hour drive from San José; 5 kilometers (3 miles) from Punta Islita Airstrip.